The patient will be the key piece of the puzzle in the digitisation of NHS services, according to the NHS Digital director. 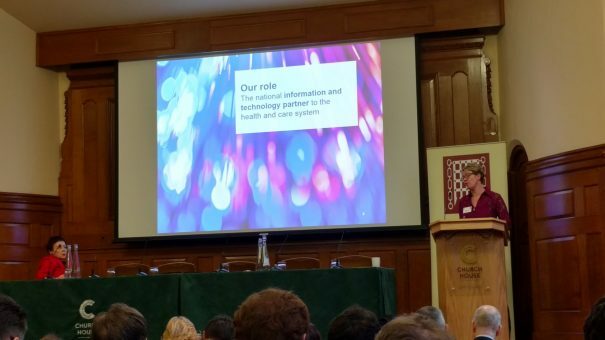 As Director of Digital Transformation at NHS Digital, Beverley Bryant is one of NHS England’s leaders in promoting the uptake of digital technology in the health service: a huge task as the health service is a complex, fragmented organisation, and IT projects have often been expensive failures in the last 20 years. Speaking at a Westminster Health Forum meeting, Next steps for IT, data and patient records in the NHS, Bryant called for leaders to “pull the NHS out of the ’90s” and to “move away from the white wall behaviour seen in the NHS in the past”. In order to do so, the NHS needs to focus on how digital innovation can help patient care. “Key to the Five Year Forward View is empowering people to manage their own care and look after themselves,” she went on. “By giving people more control and giving them a better understanding of what could work for them, we believe people will be able to make better informed lifestyle choices. Bryant’s talk was mainly in response to the Wachter review, an independent report authored by National Advisory Group on Health Information Technology in England chair Professor Robert Wachter. The report said the goal to create a ‘paperless NHS’ target by 2020 were unrealistic, outlined 10 failings of past attempts to digitise secondary care in the NHS, and made 10 recommendations to remedy them. Bryant noted key efforts to digitise the NHS that are already in play in response to the Wachter report. The upcoming evolution of the NHS Choices website into nhs.uk will give users a personalised experience, relaying information relevant to their past searches and prescriptions. It will be clearer than its soon-to-be predecessor and be more accessible for everyday users, allowing them to book GP appointments, read medication information and examine their own ‘personal health record’. The recent selection of 12 ‘digital exemplars’, providing best practice examples for other NHS trusts to replicate, was also highlighted as another effort to help drive the NHS’ digitisation. Bryant addressed the issue of digital literacy – a key factor for the six million UK residents still not online – saying tools to help rural populations develop the relevant skills to adopt a digital NHS will be created. She also mentioned plans to put aside money to deploy WiFi access to the entire NHS, to help prevent the alienation of specific trusts and patient populations. Internet of Things (IoT) technology would also have a role to play, helping drug compliance, adherence and self-management of conditions, she explained. However, Bryant was slightly more guarded here, suggesting that GPs would be unable to cope with the sheer amount of data produced by IoT tech. Alongside its other efforts, NHS Digital needs to build an ‘open digital framework’ to ensure the NHS remains agile and adaptable. This will be important for smartdevice apps and wearables too. Despite Bryant’s optimistic vision of a digital NHS, sceptics were quick to remark on the proposed plans. 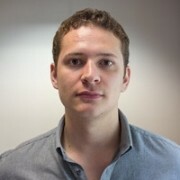 Dr Paul Cundy, of the British Medical Association, referred to a chart comparing out-of-hours telephone contact to NHS direct conversation, making the point that more capabilities actually led to further pressure on GPs – a sentiment he summed up as, “the more you offer, the more people take”. Cundy also challenged the idea of a ‘complete’ patient record, suggesting that a record which presented only information relevant to each individual in particular settings was more beneficial.